When the University of Alaska Fairbanks ski coach Jim Mahaffey tasked two of his athletes, Nat Goodhue and Gail Bakken, with laying out a 26.2-mile trail in 1963, the concept was novel: fewer than 20 marathons existed in the United States. The Equinox Marathon has excited and exhausted participants for 55 years. The event is easily on the list of the top ten toughest marathons in the United States, and one of the premier marathons that take place in Alaska. 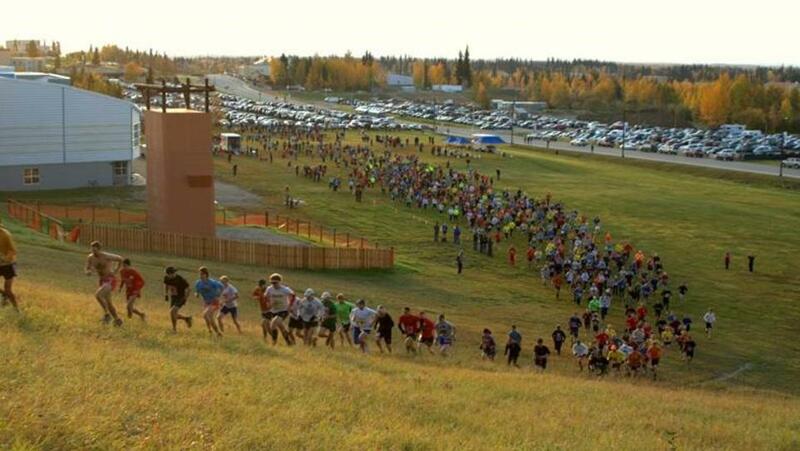 The Equinox Marathon was originally popular with hikers, drawing over 1,000 trekkers in the late 1960s. Over the years, interest in hiking the course has waned although encouraged, and today it is mostly a marathon for runners and relay teams. Held annually in September, the race begins at an elevation of 500 feet, but runners will climb more than 3,000 total vertical feet before they’re through, covering several major ascents and descents along the way. On race morning, runners gather at the University of Alaska Fairbanks (UAF) campus and begin the race with that quick sprint to the UAF sledding and ski hill. It’s a festive and exciting mass start. 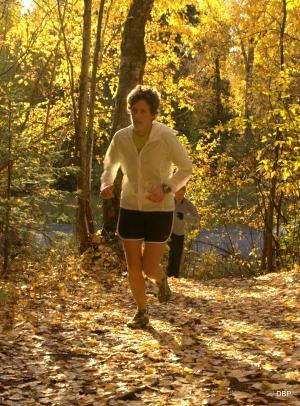 The course then settles down a little bit as runners follow a scenic loop around the university along beautiful wooded running paths and ski trails, carpeted with golden birch leaves. Runners continue past the university’s musk ox farm, then emerge from the woods to begin their climb at mile nine. The next four miles is a trudge up to 1,800 feet, and if the weather is clear, participants are rewarded with wonderful views of Denali and the Alaskan Range. The race continues along a difficult out-and-back route across hilltops and valleys to the turnaround at mile 14.9. On this stretch, runners must make their way along a rollercoaster dirt road, and then head up onto a narrow trail. After the turnaround, runners make their way down the infamous Chute, a short but challenging quad-burning descent. The final nine miles of the course is a trek back through the boreal forest, with some road running, as runners descend 1,200 feet on their way back to the UAF campus. Even though the course is challenging, people of all abilities, with even the slightest inkling of athletic ability, are encouraged to participate by running, jogging, walking or hiking with friends. Once completed under the generous 10-hour time limit, finishers are handed the coveted Equinox Marathon patch, which remains virtually unchanged since the 60s and has become quite the collector&apos;s item and source of pride for the many finishers over the years. Since its start, the community of Fairbanks has embraced this annual event. The race relies on hundreds of volunteers and sponsorships, as well as hundreds of participants from Alaska and around the world. For more information or to sign up, please visit The Equinox Marathon website and join the conversation on Facebook. The 56th Annual Equinox Marathon will be held September 15, 2018.